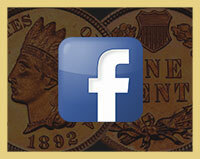 Which Classic 1916 Coin Features Your Favorite Design? 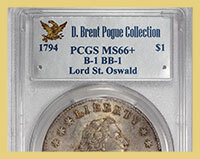 In part III of his Lord St. Oswald ’Where Are They Now’ series, Ron Guth investigates the differing paths of the two 1794 Silver Dollars sold in Christie’s 1964 auction. 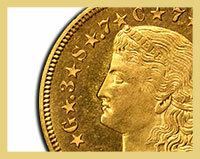 Today, one enjoys a historic pedigree while the other recently sold for twenty times its last auction appearance. Deeply mirrored with both sides having a gorgeous swirling mix of totally original pale purple, gold, lilac, blue and aqua green colors. 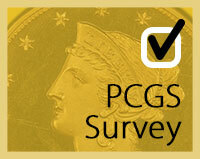 Only 450 pieces were minted with the PCGS Pop at only 5. The last record sold for $5,463. Legend has this rare coin at an amazing price. 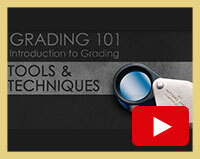 There is almost always a premium for silver over melt value. 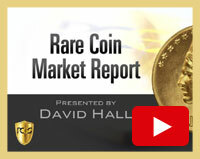 Consequently, anyone looking to purchase or sell silver coins has not been able to get an accurate picture of the real physical market due to the fluctuation in the premium...until now! 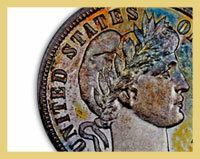 An incredible 1879 $4 Flowing Hair Stella certified Proof-65+ by PCGS realized an impressive $188,000 to lead all prices realized at the Stack’s Bowers Galleries Official Auction of the Whitman Coins & Collectibles Baltimore Expo. 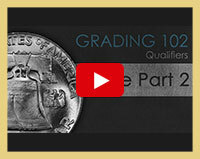 PCGS Director of Education Mike Sherman explains in full detail the ’Full Head’ designation on Standing Liberty Quarters and the ’Full Bell Line’ designation on Franklin Half Dollars. 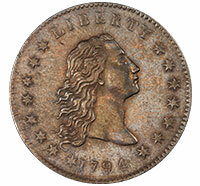 Amazing coins like this 1800 Half Cent C-1 PCGS MS64RB from the Missouri Cabinet Collection will be featured in Legend Auctions’ December 17th Regency Auction XV at the Venetian, Las Vegas. Complete lot list with pedigrees are now posted. 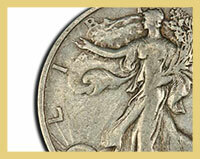 L&C Coins Which classic 1916 coin features your favorite design?